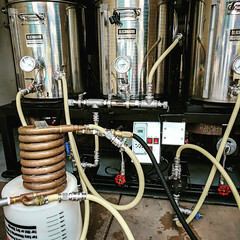 Coupon Description: MoreBeer.com currently has a coupon code that allows you to save on a copper counterflow wort chiller for home brewing. 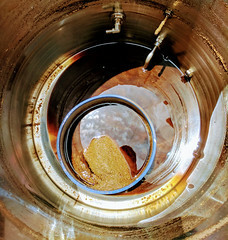 This More Beer coupon code is for a chillzilla style counterflow wort chiller. With this wort chiller you can chill your wort in half the time. It is an innovative and water-efficient wort chiller that is designed to be use with just about any homebrew configuration. This unique counterflow wort chiller is designed to cool your wort in much less time compared to a standard immersion wort chiller. 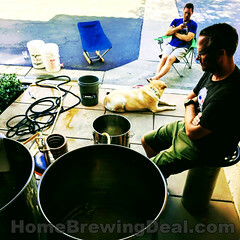 Coupon Description: MoreBeer.com currently has a deal of the day going on where you can save money when you purchase one of their hombrewing recirculating arm homebrew immersion wort chillers! This coupon code is for a copper immersion wort chiller with recirculation arm. This Immersion Chiller from MoreBeer.com has a wort recirculation arm soldered to their super wort chiller, allowing it to cool your wort even faster! Recirculating you wort can also bring out more hop flavor and wonderful aromas in your homebrew! This wort chiller includes 1/2″ FPT fitting on the recirculation arm to accommodate a variety of custom fittings for easier attachment. Its water inlet is ¾ inch female garden hose thread, that makes it easy to attach the chiller to just about any common water source. 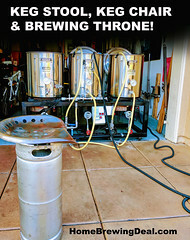 Coupon Description: MoreBeer.com currently has a deal of the day going on where you can save some money when you purchase a camp chef hombrew burner. Sturdy design works perfectly with kettles or a converted keg.